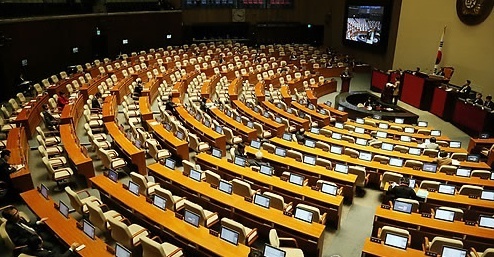 South Korea ranked 121st out of 193 nations in the ratio of female legislators to males in its 300-seat unicameral parliament, an international parliamentary association said Wednesday. The Inter-Parliamentary Union (IPU) said there were 51 female lawmakers, or 17.1 percent of the total, in South Korea's parliament as of January this year. The ratio is far lower than the world average of 24.3 percent. North Korea ranked at 128th place with a ratio of 16.3 percent, the IPU said. Africa's Rwanda had the highest proportion of women in parliament at 61.3 percent, followed by Cuba with a 53.2 percent ratio and Bolivia with 53.1 percent.